Taking inspiration from a cube he had filmed at the 34th Chaos Communication Congress in Leipzig, Germany, polyfloyd gathered friends Sebastius and Boekenwuurm together to create their own. The displays are connected in 3 chains, the maximum number of parallel chains the board supports, of 2 panels each. Having a higher degree of parallelization increases the refresh rate which in turn improves the overall image quality. The first two chains make up the 4 sides. The remaining chain makes up the top and bottom of the cube. Sebastius removed the plastic frames that come as standard on the panels, in order to allow them to fit together snugly as a cube. He designed and laser-cut a custom frame from plywood to support the panels instead. The team used hzeller’s software to drive the panels, and polyfloyd wrote their own program to “shove the pixels around”. polyfloyd used Ledcat, software they had made to drive previous LED projects, and adapted this interface so programs written for Ledcat would also work with hzeller’s library. The full code for the project can be found on polyfloyd’s GitHub profile. It includes the ability to render animations to gzipped files, and to stream animations in real time via SSH. The team has interesting plans for the cube moving forward, including the addition of an accelerometer and batteries. Follow their progress on the polyfloyd blog. The internet is full of amazing Raspberry Pi projects that use LED panels. This recent project available on Instructables shows how to assemble and set up a particle generator, while this one, featured on this blog last year, tracks emojis used on the Chelsea Handler: Gotta Go! app. The post LED cubes and how to map them appeared first on Raspberry Pi. Go hands-free in the laboratory or makerspace with Mauro Pichiliani’s voice-controlled magnification glasses. We’ve all been there – that moment when you need another pair of hands to complete a task. And while these glasses may not hold all the answers, they’re a perfect addition to any hobbyist’s arsenal. Introducing Mauro Pichilliani’s voice-activated glasses: a pair of frames with magnification lenses that can flip up and down in response to a voice command, depending on the task at hand. No more needing to put down your tools in order to put magnifying glasses on. No more trying to re-position a magnifying glass with the back of your left wrist, or getting grease all over your lenses. Many professionals work for many hours looking at very small areas, such as surgeons, watchmakers, jewellery designers and so on. 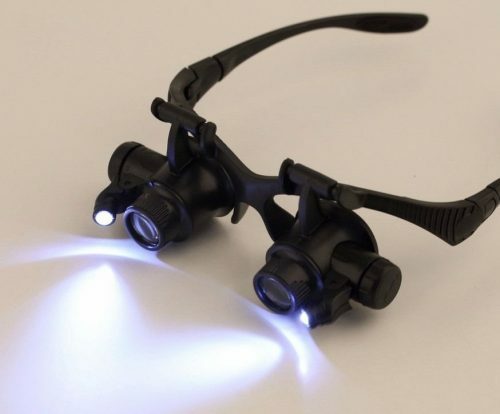 Most of the time these professionals use some kind of magnification glasses that helps them to see better the area they are working with and other tiny items used on the job. The devices that had magnifications lens on a form factor of a glass usually allow the professional to move the lens out of their eye sight, i.e. put aside the lens. However, in some scenarios touching the lens or the glass rim to move away the lens can contaminate the fingers. Also, it is cumbersome and can break the concentration of the professional. Using a Raspberry Pi Zero W, a servo motor, a microphone, and the IBM Watson speech-to-text service, Mauro built a pair of glasses that lets users control the position of the magnification lenses with voice commands. Mauro started by dismantling a pair of standard magnification glasses in order to modify the lens supports to allow them to move freely. He drilled a hole in one of the lens supports to provide a place to attach the servo, and used lollipop sticks and hot glue to fix the lenses relative to one another, so they would both move together under the control of the servo. 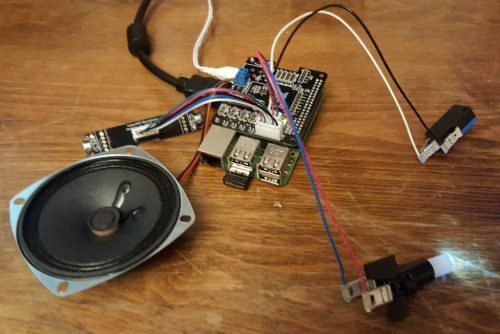 Then, he set up a Raspberry Pi Zero, installing Raspbian and software to use a USB microphone; after connecting the servo to the Pi Zero’s GPIO pins, he set up the Watson speech-to-text service. Finally, he wrote the code to bring the project together. Two Python scripts direct the servo to raise and lower the lenses, and a Node.js script captures audio from the microphone, passes it on to Watson, checks for an “up” or “down” command, and calls the appropriate Python script as required. You can follow the tutorial on the Instructables website, where Mauro entered the glasses into the Instructables Voice Activated Challenge. And if you’d like to take your first steps into digital making using the Raspberry Pi, take a look at our free online projects. 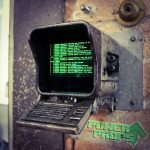 The post Voice-controlled magnification glasses appeared first on Raspberry Pi. 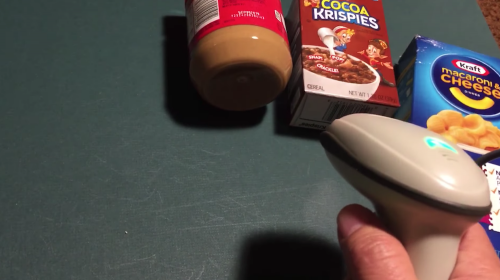 To aid his mother in reading the labels of her groceries, Russell Grokett linked a laser barcode reader to a Raspberry Pi Zero W to read out the names of scanned item. My mom is unable to read labels on grocery items anymore, so I went looking for solutions. After seeing that bar code readers for the blind run many hundreds of dollars, I wanted to see what could be done using a Raspberry Pi and a USB Barcode reader. As his mother is no longer able to read the labels on her groceries, Russell Grokett started exploring accessibility devices to help her out. When he came across high-priced barcode readers, he decided to take matters into his own hands. Originally opting for a camera to read the codes, Russell encountered issues with light and camera angle. 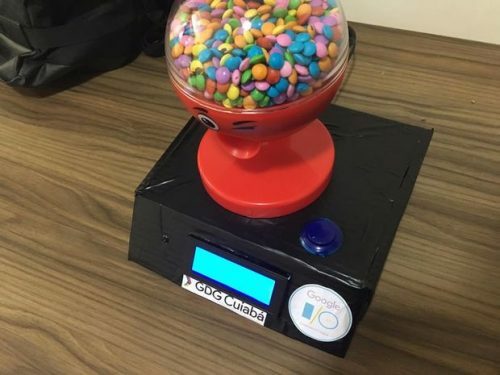 This forced him to think of a new option, and he soon changed his prototype to include a laser barcode reader for around $30. The added bonus was that Raspbian supported the reader out of the box, reducing the need for configuration — always a plus for any maker. With the issues of the camera neatly resolved, Russell had another obstacle to overcome: the device’s internet access, or lack thereof, when his mother was out of range of WiFi, for example at a store. Another key requirement was that this should work WITHOUT an internet connection (such as at a store or friend’s house). So the database and text-to-speech had to be self-contained. Russell tackled this by scouring the internet for open-source UPC code databases, collecting barcode data to be stored on the Raspberry Pi. Due to cost (few databases are available for free), he was forced to stitch together bits of information he could find, resigning himself to inputting new information manually in the future. I was able to put a couple open-source databases together (sources in appendix below), but even with nearly 700000 items in it, a vast number are missing. To this end, I have done two things: one is to focus on grocery items specifically, and the other is to add a webserver to the Raspberry Pi to allow adding new UPC codes manually, though this does require at least local network connectivity. For the text-to-speech function of the project, Russell used Flite, as this interface makes a healthy compromise between quality of audio and speed. As he explains in his Instructables tutorial, you can find out more about using Flite on the Adafruit website. 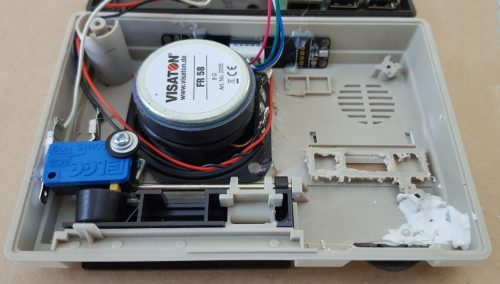 In order to maintain the handheld size of the scanner, Russell used a Raspberry Pi Zero W for the project, and he repurposed his audio setup of a previous build, the Earthquake Pi. Find a full breakdown of the build, including ingredients, code, and future plans on Instructables. 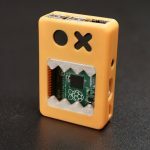 And while you’re there, be sure to check out Russell’s other Raspberry Pi–based projects, such as PiTextReader, a DIY text-to-speech reader; and the aforementioned Earthquake Pi, a light-flashing, box-rattling earthquake indicator for your desk. 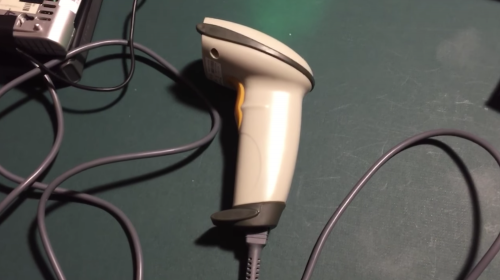 The post Barcode reader for visually impaired shoppers appeared first on Raspberry Pi. Hack your COZMO for ultimate control, using a Raspberry Pi and this tutorial from Instructables user Marcelo ‘mjrovai’ Rovai. COZMO is a Python-programmable robot from ANKI that boasts a variety of on-board sensors and a camera, and that can be controlled via an app or via code. To get an idea of how COZMO works, check out this rather excitable video from the wonderful Mayim Bialik. COZMO’s creators, ANKI, provide a Software Development Kit (SDK) so that users can get the most out of their COZMO. This added functionality is a great opportunity for budding coders to dive into hacking their toys, without the risk of warranty voiding/upsetting parents/not being sure how to put a toy back together again. By the way, I should point out that this is in no way a sponsored blog post. I just think COZMO is ridiculously cute…because tiny robots are adorable, no matter their intentions. For his Instructables tutorial, Marcelo connected an Android device running the COZMO app to his Raspberry Pi 3 via USB. Once USB debugging had been enabled on his device, he installed the Android Debug Bridge (ADB) to the Raspberry Pi. Then his Pi was able to recognise the connected Android device, and from there, Marcelo moved on to installing the SDK, including support for COZMO’s camera. The SDK comes with pre-installed examples, allowing users to try out the possibilities of the kit, such as controlling what COZMO says by editing a Python script. Marcelo’s tutorial offers more example code for users of the COZMO SDK, along with the code to run the LED button game featured in the video above, and tips on utilising the SDK to take full advantage of COZMO. 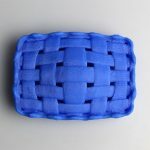 Check it out here on Instructables, and visit his website for even more projects. 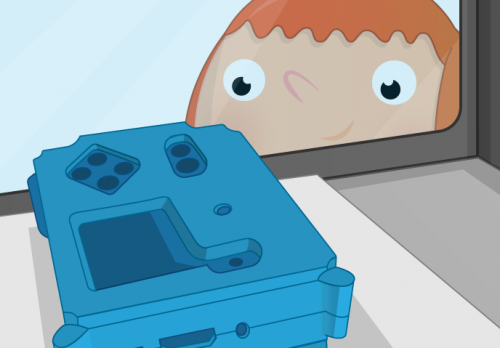 The post When tiny robot COZMO met our tiny Raspberry Pi appeared first on Raspberry Pi. 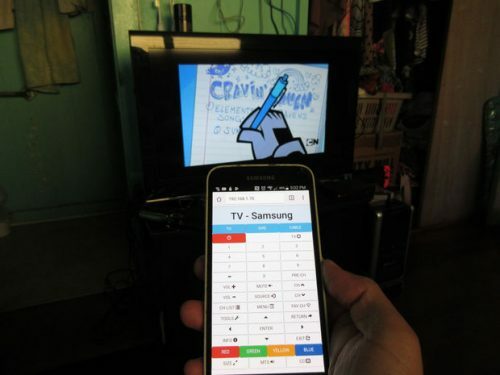 Honolulu-based software developer bbtinkerer was tired of never being able to find the TV remote. 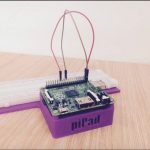 So he made his own using a Raspberry Pi Zero, and connected it to a web app accessible on his smartphone. For the build, Bernard used a Raspberry Pi Zero, an IR LED and corresponding receiver, Raspbian Lite, and a neat little 3D-printed housing. First, he soldered a circuit for the LED and resistors on a small piece of perf board. Then he assembled the hardware components. Finally, all he needed to do was to write the code to control his devices (including a tower fan), and to set up the app. 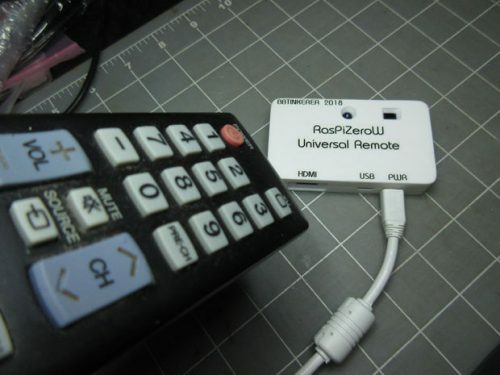 Bernard employed the Linux Infrared Remote Control (LIRC) package to control the television with the Raspberry Pi Zero, accessing the Zero via SSH. 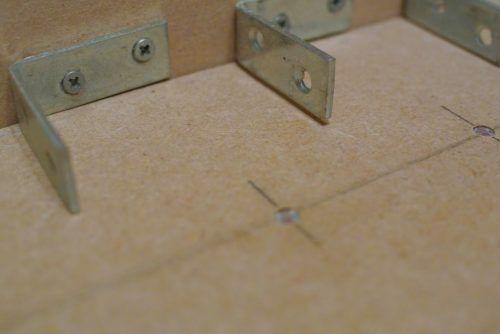 He gives a complete rundown of the installation process on Instructables. Setting up a remote’s buttons with LIRC is a simple case of pressing them and naming their functions one by one. You’ll need the remote to set up the system, but after that, feel free to lock it in a drawer and use your smartphone instead. Finally, Bernard created the web interface using Node.js, and again, because he’s lovely, he published the code for anyone wanting to build their own. Thanks, Bernard! If you’ve used a Raspberry Pi to build a time-saving life hack like Bernard’s, be sure to share it with us. Other favourites of ours include fridge cameras, phone app doorbell notifications, and Alan’s ocarina home automation system. I’m not sure if this last one can truly be considered a time-saving life hack. It’s still cool though! The post Turn your smartphone into a universal remote appeared first on Raspberry Pi. 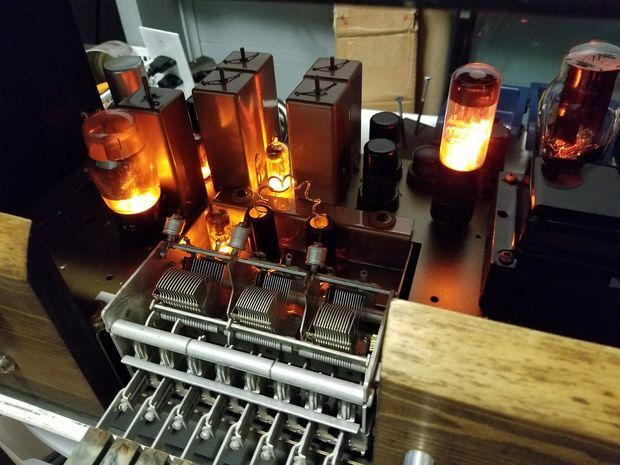 Matt Van Gastel breathed new life into his great-grandparents’ 1930s Westinghouse with a Raspberry Pi, an amplifier HAT, Google Music, and some serious effort. The result is a really beautiful, striking piece. 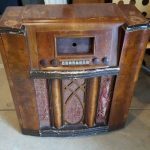 With a background in radio electronics, Matt Van Gastel had always planned to restore his great-grandparents’ mid-30s Westinghouse radio. 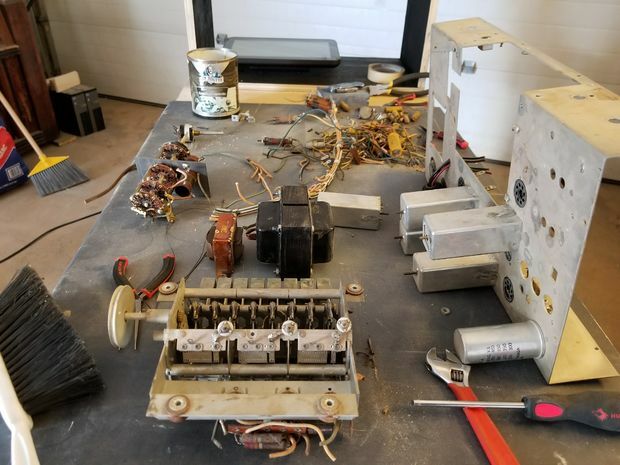 “I even found the original schematics glued to the bottom of the base of the main electronics assembly,” he explains in his Instructables walkthrough. 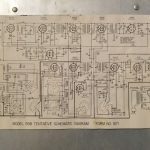 However, considering the age of the piece and the cost of sourcing parts for a repair, he decided to take the project in a slightly different direction. 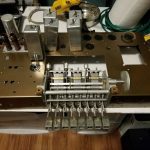 “I pulled the main electronics assembly out quite easily, it was held in by four flat head screws […] I decided to make a Steampunk themed Jukebox based off this main assembly and power it with a Raspberry Pi,” he writes. 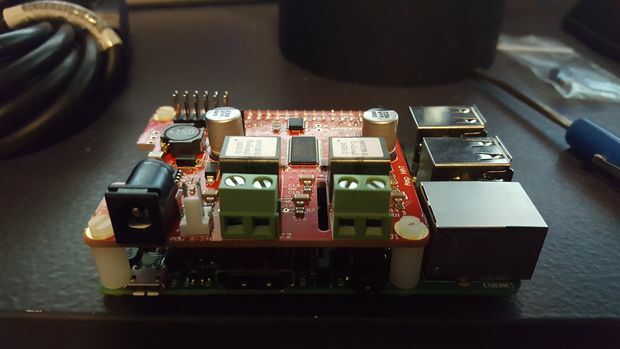 Matt added JustBoom’s Amp HAT to a Raspberry Pi 3 to boost the sound quality and functionality of the board. 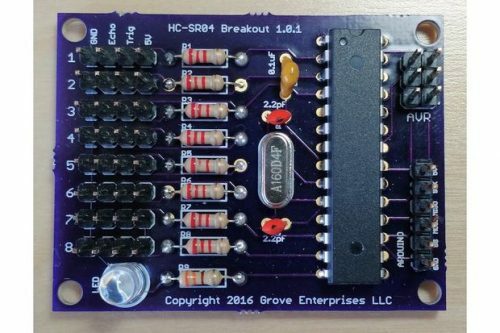 He spent a weekend prototyping and testing the electronics before deciding on his final layout. After a little time playing around with different software, Matt chose Mopidy, a flexible music server written in Python. Mopidy lets him connect to his music-streaming service of choice, Google Music, and also allows airplay connectivity for other wireless devices. Stripping out the old electronics from inside the Westinghouse radio easily made enough space for Matt’s new, much smaller, setup. 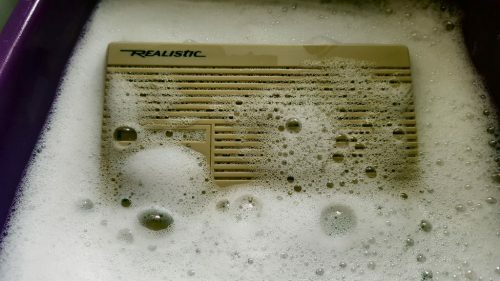 Reserving various pieces for the final build, and scrubbing the entire unit to within an inch of its life with soap and water, he moved on to the aesthetics of the piece. 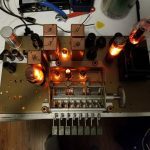 LED Nixie tubes, a 1950s DC voltmeter, and spray paint all contributed to the final look of the radio. It has a splendid steampunk look that works wonderfully with the vintage of the original radio. 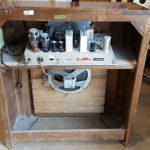 From old pub jukeboxes to Bakelite kitchen radios, we’ve seen lots of retrofit audio visual Pi projects over the years, with all kinds of functionality and in all sorts of styles. For more steampunk inspiration, check out phrazelle’s laptop and Derek Woodroffe’s tentacle hat. And for more audiophile builds, Tijuana Rick’s 60s Wurlitzer and Steve Devlin’s 50s wallbox are stand-out examples. 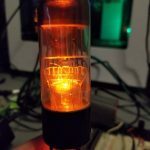 The post Matt’s steampunk radio jukebox appeared first on Raspberry Pi. Standard Christmas tree ornaments are just so boring, always hanging there doing nothing. Yawn! Lucky for us, Sean Hodgins has created an ornament that plays classic nineties Christmas adverts, because of nostalgia. Sean first 3D printed a small CRT-shaped ornament resembling the family television set in The Simpsons. He then got to work on the rest of the components. All images featured in this blog post are c/o Sean Hodgins. Thanks, Sean! The ornament uses a Raspberry Pi Zero W, 2.2″ TFT LCD screen, Mono Amp, LiPo battery, and speaker, plus the usual peripherals. Sean purposely assembled it with jumper wires and tape, so that he can reuse the components for another project after the festive season. 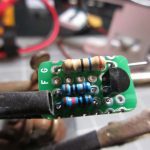 By adding header pins to a PowerBoost 1000 LiPo charger, Sean was able to connect a switch to control the Pi’s power usage. This method is handy if you want to seal your Pi in a casing that blocks access to the power leads. From there, jumper wires connect the audio amplifier, LCD screen, and PowerBoost to the Zero W.
Then, with Raspbian installed to an SD card and SSH enabled on the Zero W, Sean got the screen to work. The type of screen he used has both SPI and FBTFT enabled. And his next step was to set up the audio functionality with the help of an Adafruit tutorial. For video playback, Sean installed mplayer before writing a program to extract video content from YouTube*. Once extracted, the video files are saved to the Raspberry Pi, allowing for seamless playback on the screen. When fully assembled, the entire build fit snugly within the 3D-printed television set. And as a final touch, Sean added the cut-out lens of a rectangular magnifying glass to give the display the look of a curved CRT screen. Then finally, the ornament hangs perfectly on the Christmas tree, up and running and spreading nostalgic warmth. For more information on the build, check out the Instructables tutorial. And to see all of Sean’s builds, subscribe to his YouTube channel. If you’re looking for similar projects, have a look at this tutorial by Cabe Atwell for building a Pi-powered ornament that receives and displays text messages. Have you created Raspberry Pi tree ornaments? Maybe you’ve 3D printed some of our own? 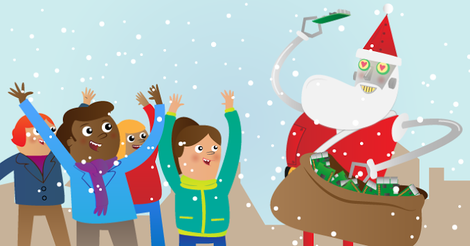 We’d love to see what you’re doing with a Raspberry Pi this festive season, so make sure to share your projects with us, either in the comments below or via our social media channels. *At this point, I should note that we don’t support the extraction of video content from YouTube for your own use if you do not have the right permissions. However, since Sean’s device can play back any video, we think it would look great on your tree showing your own family videos from previous years. So, y’know, be good, be legal, and be festive. The post Sean Hodgins’ video-playing Christmas ornament appeared first on Raspberry Pi. Come with us on a journey to discover the 2017 Raspberry Pi Halloween projects that caught our eye, raised our hair, or sent us screaming into the night. Whether you’re easily scared or practically unshakeable, you can celebrate Halloween with Pi projects of any level of creepiness. Even makers of a delicate constitution will enjoy making this Code Club Ghostbusters game, or building an interactive board game using Halloween lights with this MagPi tutorial by Mike Cook. And how about a wearable, cheerily LED-enhanced pumpkin created with the help of this CoderDojo resource? Cute, no? Speaking of wearables, Derek Woodroffe’s be-tentacled hat may writhe disconcertingly, but at least it won’t reach out for you. Although, you could make it do that, if you were a terrible person. Your decorations don’t have to be terrifying: this carved Pumpkin Pi and the Poplawskis’ Halloween decorations are controlled remotely via the web, but they’re more likely to give you happy goosebumps than cold sweats. The Snake Eyes Bonnet pumpkin and the monster-face projection controlled by Pis that we showed you in our Halloween Twitter round-up look fairly friendly. Even the 3D-printed jack-o’-lantern by wermy, creator of mintyPi, is kind of adorable, if you ignore the teeth. And who knows, that AlexaPi-powered talking skull that’s staring at you could be an affable fellow who just fancies a chat, right? Right? OK, fine. You’re after something properly frightening. How about the haunted magic mirror by Kapitein Haak, or this one, with added Philips Hue effects, by Ben Eagan. As if your face first thing in the morning wasn’t shocking enough. If you find those rigid-faced, bow-lipped, plastic dolls more sinister than sweet – and you’re right to do so: they’re horrible – you won’t like this evil toy. Possessed by an unquiet shade, it’s straight out of my nightmares. Earlier this month we covered Adafruit’s haunted portrait how-to. This build by Dominick Marino takes that concept to new, terrifying, heights. Why not add some motion-triggered ghost projections to your Halloween setup? They’ll go nicely with the face-tracking, self-winding, hair-raising jack-in-the-box you can make thanks to Sean Hodgins’ YouTube tutorial. And then, last of all, there’s this. 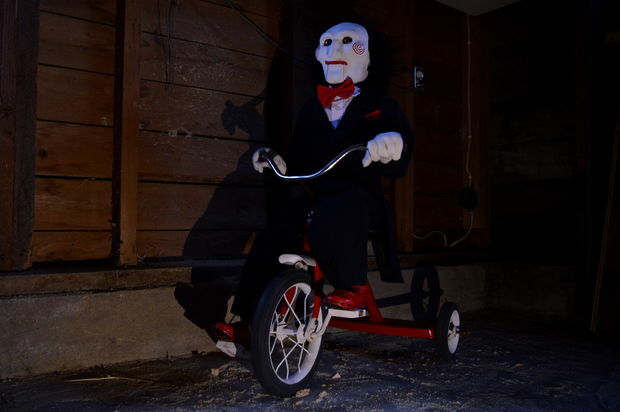 This recreation of Billy the Puppet from the Saw franchise is Pi-powered, it’s mobile, and it talks. You can remotely control it, and I am not even remotely OK with it. That being said, if you’re keen to have one of your own, be my guest. Just follow the guide on Instructables. It’s your funeral. It’s been a great year for scary Raspberry Pi makes, and we hope you have a blast using your Pi to get into the Halloween spirit. 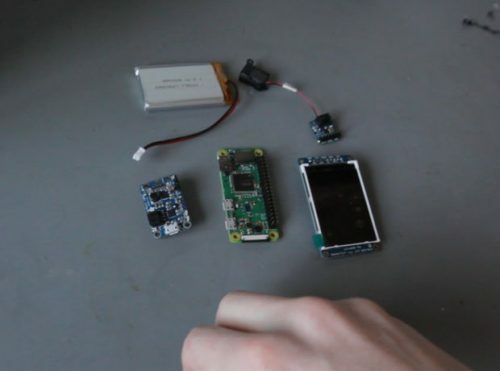 And speaking of spirits, Matt Reed of RedPepper has created a Pi-based ghost detector! It uses Google’s Speech Neural Network AI to listen for voices in the ether, and it’s live-streaming tonight. Perfect for watching while you’re waiting for the trick-or-treaters to show up. The post A Raspberry Pi Halloween projects spectacular appeared first on Raspberry Pi. 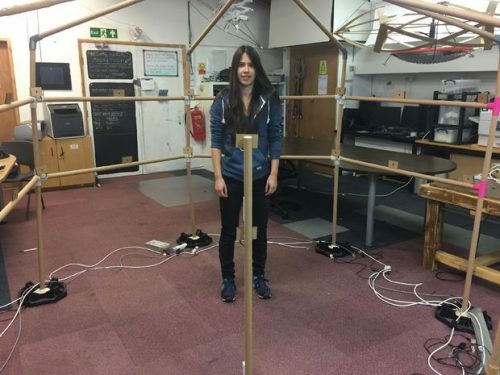 With a £1000 grant from Santander, Poppy Mosbacher set out to build a full-body 3D body scanner with the intention of creating an affordable setup for makespaces and similar community groups. Poppy herself wanted to use the scanner in her work as a fashion designer. With the help of 3D scans of her models, she would be able to create custom cardboard dressmakers dummy to ensure her designs fit perfectly. This is a brilliant way of incorporating digital tech into another industry – and it’s not the only application for this sort of build. 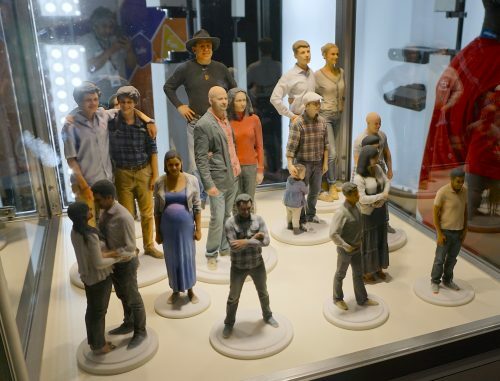 Growing numbers of businesses use 3D body scanning, for example the stores around the world where customers can 3D scan and print themselves as action-figure-sized replicas. Print your own family right on the high street! We’ve also seen the same technology used in video games for more immersive virtual reality. Moreover, there are various uses for it in healthcare and fitness, such as monitoring the effect of exercise regimes or physiotherapy on body shape or posture. Within a makespace environment, a 3D body scanner opens the door to including new groups of people in community make projects: imagine 3D printing miniatures of a theatrical cast to allow more realistic blocking of stage productions and better set design, or annually sending grandparents a print of their grandchild so they can compare the child’s year-on-year growth in a hands-on way. 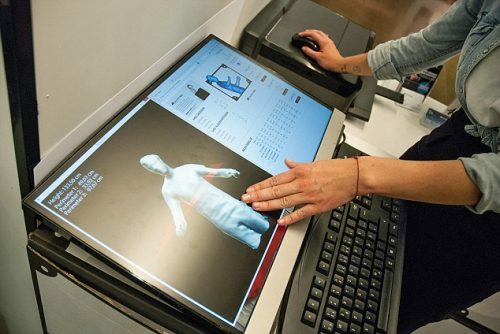 The Germany-based clothing business Outfittery uses full body scanners to take the stress out of finding clothes that fits well. As cheesy as it sounds, the only limit for the use of 3D scanning is your imagination…and maybe storage space for miniature prints. For her build, Poppy acquired 27 Raspberry Pi Zeros and 27 Raspberry Pi Camera Modules. With various other components, some 3D-printed or made of cardboard, Poppy got to work. She was helped by members of Build Brighton and by her friend Arthur Guy, who also wrote the code for the scanner. 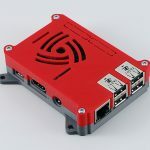 The Pi Zeros run Raspbian Lite, and are connected to a main server running a node application. 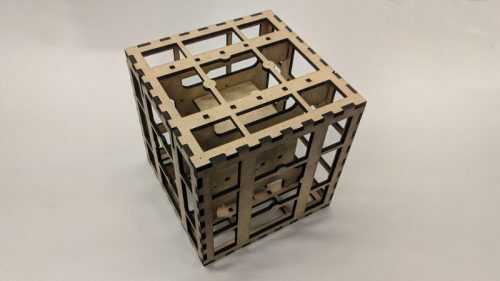 Each is fitted into its own laser-cut cardboard case, and secured to a structure of cardboard tubing and 3D-printed connectors. In the finished build, the person to be scanned stands within the centre of the structure, and the press of a button sends the signal for all Pis to take a photo. The images are sent back to the server, and processed through Autocade ReMake, a freemium software available for the PC (Poppy discovered part-way through the project that the Mac version has recently lost support). Obviously there’s a lot more to the process of building this full-body 3D scanner than what I’ve reported in these few paragraphs. And since it was Poppy’s goal to make a readily available and affordable scanner that anyone can recreate, she’s provided all the instructions and code for it on her Instructables page. Projects like this, in which people use the Raspberry Pi to create affordable and interesting tech for communities, are exactly the type of thing we love to see. Always make sure to share your Pi-based projects with us on social media, so we can boost their visibility! 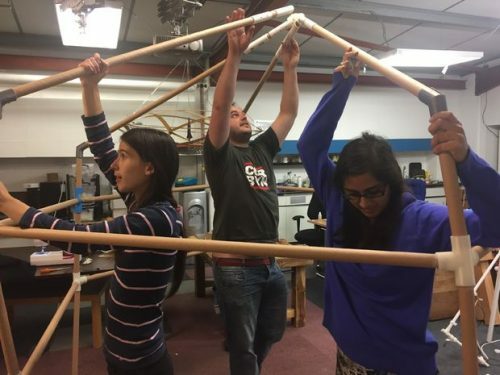 If you’re a member of a makespace, run a workshop in a school or club, or simply love to tinker and create, this build could be the perfect addition to your workshop. And if you recreate Poppy’s scanner, or build something similar, we’d love to see the results in the comments below. 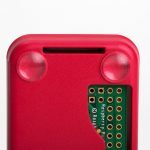 The post Affordable Raspberry Pi 3D Body Scanner appeared first on Raspberry Pi. 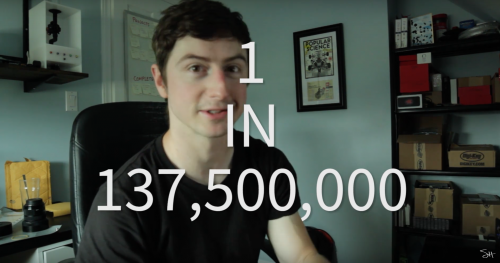 After several explorations into the world of 3D printing, and fresh off the back of his $5 fidget spinner crowd funding campaign, Sean Hodgins brings us his latest project: a DIY Bitcoin Lottery! Build your own lottery! Thingiverse Files: https://www.thingiverse.com/thing:2494568 Pi How-to: http://www.idlehandsproject.com/raspberry-pi-bitcoin-lottery/ Instructables: https://www.instructables.com/id/DIY-Bitcoin-Lottery-With-Raspberry-Pi/ Send me bitcoins if you want! [A] record-keeping service. Miners keep the blockchain consistent, complete, and unalterable by repeatedly verifying and collecting newly broadcast transactions into a new group of transactions called a block. Each block contains a cryptographic hash of the previous block, using the SHA-256 hashing algorithm, which links it to the previous block, thus giving the blockchain its name. If that makes no sense to you, welcome to the club. So here’s a handy video which explains it better. As a retired Bitcoin miner, Sean understands how the system works and what is required for mining. 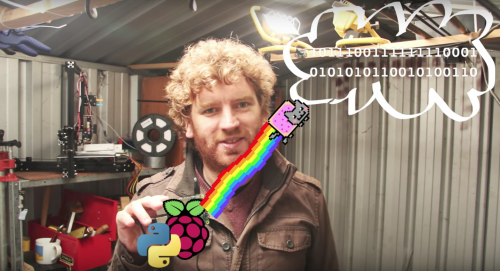 And since news sources report that Bitcoin is currently valued at around $4000, Sean decided to use a Raspberry Pi to bring to life an idea he’d been thinking about for a little while. 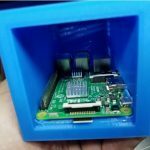 He fitted the Raspberry Pi into a 3D-printed body, together with a small fan, a strip of NeoPixels, and a Block Eruptor ASIC which is the dedicated mining hardware. The Pi runs a Python script compatible with CGMiner, a mining software that needs far more explanation than I can offer in this short blog post. The Neopixels take the first 6 characters of the 64-character-long number of the current block, and interpret it as a hex colour code. In this way, the block’s data is converted into colour, which, when you think about it, is kind of beautiful. The device moves on to trying to solve a new block every 20 minutes. When it does, the NeoPixel LEDs play a flashing ‘Win’ or ‘Lose’ animation to let you know whether you were the one to solve the previous block. Sean has done the maths to calculate the power consumption of the device. He says that the annual cost of running his Bitcoin Lottery is roughly what you would pay for two lottery scratch cards. Now, the odds of solving a block are much lower than those of buying a winning scratch card. However, since the mining device moves on to a new block every 20 minutes, the odds of being a winner with Bitcoin using Sean’s build are actually better than those of winning the lottery. But even if you don’t win, Sean’s project is a fun experiment in Bitcoin mining and creating colour through code. And if you want to make your own, you can download the 3D-files here, find the code here, and view the step-by-step guide here on Instructables. 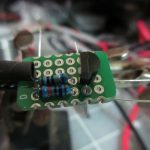 The post Sean’s DIY Bitcoin Lottery with a Raspberry Pi appeared first on Raspberry Pi. Maker Andrew Jones took a Raspberry Pi and the Google Assistant SDK and created a gorgeous-looking, and highly functional, alternative to store-bought smart speakers. In this video I get an “Ok Google” voice activated AI assistant running on a raspberry pi. I also hand make a nice wooden box for it to live in. OK Google, what are you? Google Assistant is software of the same ilk as Amazon’s Alexa, Apple’s Siri and Microsoft’s Cortana. It’s a virtual assistant that allows you to request information, play audio, and control smart home devices via voice commands. You probably have a digital assistant on your mobile phone, and if you go to the home of someone even mildly tech-savvy, you may see a device awaiting commands via a wake word such the device’s name or, for the Google Assistant, the phrase “OK, Google”. Understanding the maker need to ‘put tech into stuff’ and upgrade everyday objects into everyday objects 2.0, the creators of these virtual assistants have allowed access for developers to run their software on devices such as the Raspberry Pi. This means that your common-or-garden homemade robot can now be controlled via voice, and your shed-built home automation system can have easy-to-use internet connectivity via a reliable, multi-device platform. There’s Google’s Cloud. You log into Google’s Cloud and you do a bunch of cloud configuration cloud stuff. And then on the Raspberry Pi you install some Python software and you do a bunch of configuration. And then the cloud and the Pi talk the clouds kitten rainbow protocol and then you get a Google AI assistant. It all makes perfect sense. Though for more extra detail, you could always head directly to Google. 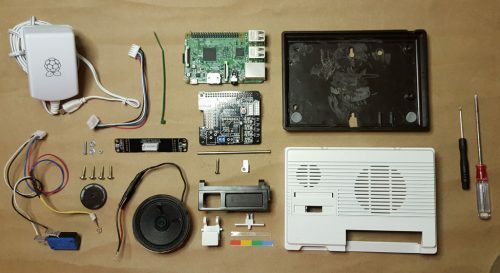 Andrew decided to take his Google Assistant-enabled Raspberry Pi and create a new body for it. One that was more aesthetically pleasing than the standard Pi-inna-box. After wiring his build and cannibalising some speakers and a microphone, he created a sleek, wooden body that would sit quite comfortably in any Bang & Olufsen shop window. Find the entire build tutorial on Instructables. It’s more straightforward than Andrew’s explanation suggests, we promise! And with an array of useful resources online, you should be able to incorporate your choice of virtual assistants into your build. There’s The Raspberry Pi Guy’s tutorial on setting up Amazon Alexa on the Raspberry Pi. If you’re looking to use Siri on your Pi, YouTube has a plethora of tutorials waiting for you. And lastly, check out Microsoft’s site for using Cortana on the Pi! If you’re looking for more information on Google Assistant, check out issue 57 of The MagPi Magazine, free to download as a PDF. The print edition of this issue came with a free AIY Projects Voice Kit, and you can sign up for The MagPi newsletter to be the first to know about the kit’s availability for purchase. The post OK Google, be aesthetically pleasing appeared first on Raspberry Pi. 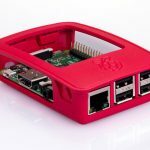 Unless you’re planning to fit your Raspberry Pi inside a build, you may find yourself in need of a case to protect it from dust, damage and/or the occasional pet attack. 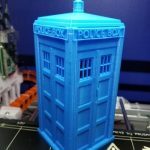 Here are some of our favourite 3D-printed cases, for which files are available online so you can recreate them at home. Since I am an avid Whovian, it’s not surprising that this case made its way onto the list. 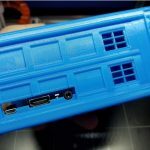 Its outside is aesthetically pleasing to the aspiring Time Lord, and it snugly fits your treasured Pi. Person: What’s a Raspberry Pi? Person: There’s a whole computer in that tiny case? You: Yes…it’s BIGGER ON THE INSIDE! Yes, we all wish we’d thought of it first. 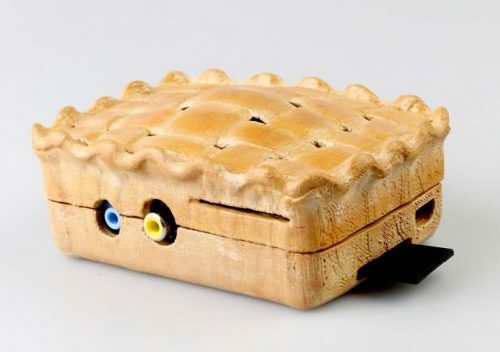 What better case for a Raspberry Pi than a pie crust? 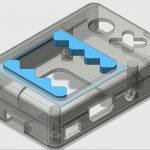 While the case is designed to fit the Raspberry Pi Model B, you will be able to upgrade the build to accommodate newer models with a few tweaks. Just make sure that if you do, you credit Marco Valenzuela, its original baker. 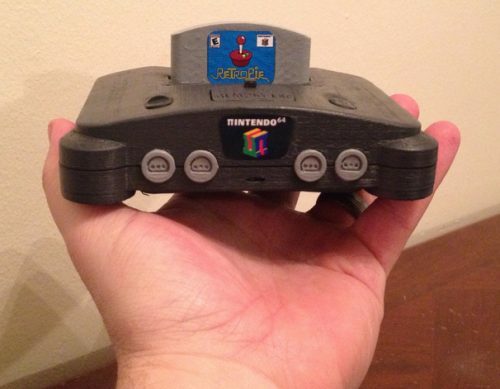 Since many people use the Raspberry Pi to run RetroPie, there is a growing trend of 3D-printed console-style Pi cases. 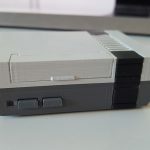 So why not pop your Raspberry Pi into a case made to look like your favourite vintage console, such as the Nintendo NES or N64? 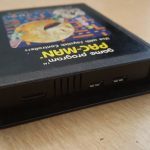 You could also use an adapter to fit a Raspberry Pi Zero within an actual Atari cartridge, or go modern and print a PlayStation 4 case! Maybe you’re looking to use your Raspberry Pi as a component of a larger project, such as a home automation system, learning suite, or makerspace. In that case you may need to attach it to a wall, under a desk, or behind a monitor. 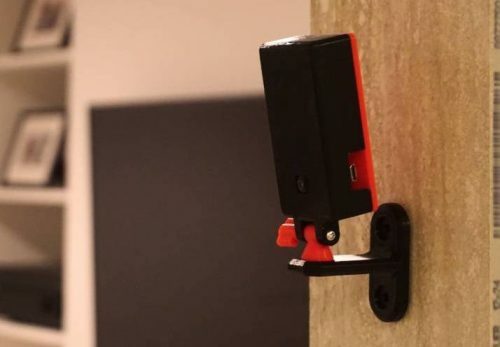 The Pidgeon, shown above, allows you to turn your Zero W into a surveillance camera, while the piPad lets you keep a breadboard attached for easy access to your Pi’s GPIO pins. Functional cases with added brackets are great for incorporating your Pi on the sly. The VESA mount case will allow you to attach your Pi to any VESA-compatible monitor, and the Fallout 4 Terminal is just really cool. You might want your case to just look cute, especially if it’s going to sit in full view on your desk or shelf. 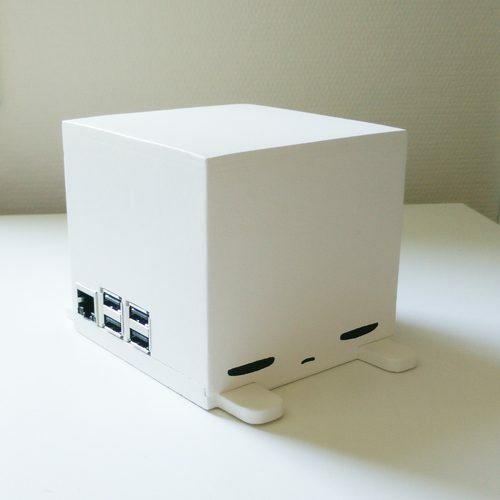 The tired cube above is the only one of our featured 3D prints for which you have to buy the files ($1.30), but its adorable face begged to be shared anyway. If you’d rather save your money for another day, you may want to check out this adorable monster from Adafruit. Be aware that this case will also need some altering to fit newer versions of the Pi. 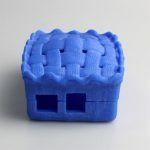 Finally, there are great options for you if you don’t have access to a 3D printer, or if you would like to help the Raspberry Pi Foundation’s mission. 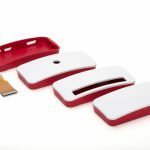 You can buy one of the official Raspberry Pi cases for the Raspberry Pi 3 and Raspberry Pi Zero (and Zero W)! As with all official Raspberry Pi accessories (and with the Pi itself), your money goes toward helping the Foundation to put the power of digital making into the hands of people all over the world. 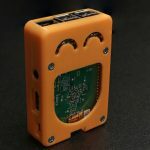 You could also print a replica of the official Astro Pi cases, in which two Pis are currently orbiting the earth on the International Space Station. 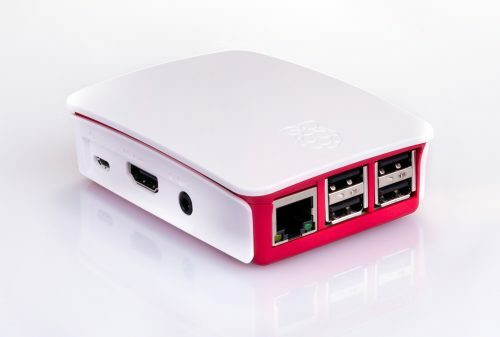 Design your own Raspberry Pi case! If you’ve built a case for your Raspberry Pi, be it with a 3D printer, laser-cutter, or your bare hands, make sure to share it with us in the comments below, or via our social media channels. And if you’d like to give 3D printing a go, there are plenty of free online learning resources, and sites that offer tutorials and software to get you started, such as TinkerCAD, Instructables, and Adafruit. 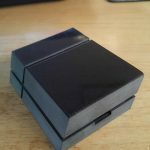 The post Awesome Raspberry Pi cases to 3D print at home appeared first on Raspberry Pi. When we released the Google AIY Projects kit with Issue 57 of The MagPi in May, we could hardly wait to see what you in the community would build with it. 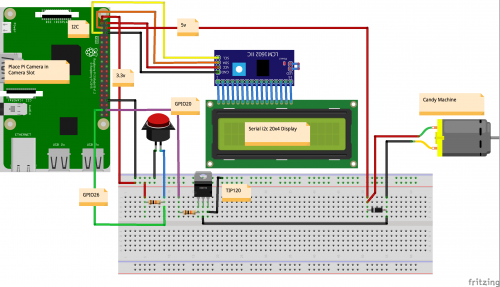 Being able to add voice interaction to your Raspberry Pi projects opens up a world of possibilities for exciting digital making. 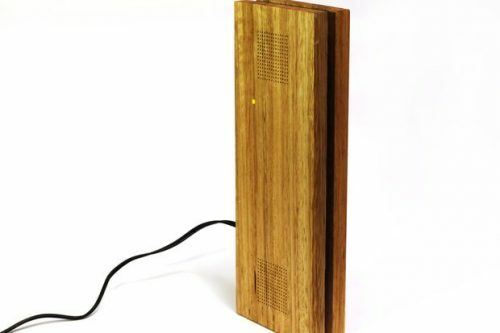 One such project is maker Martin Mander‘s Google Pi Intercom. We love this build for its retro feel and modern functionality, a combination of characteristics shared by many of Martin’s creations. If you’ve paid any attention at all to the world of Raspberry Pi in the last few months, you’ve probably seen the Google AIY Projects kit that came free with The MagPi #57. 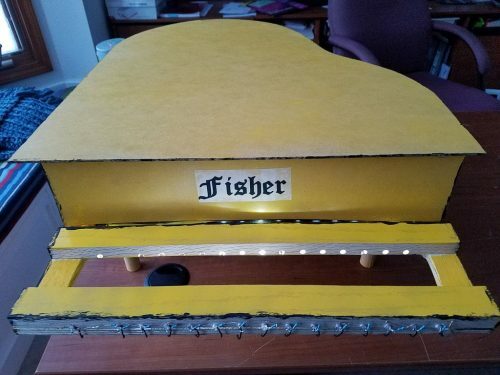 It includes a practical cardboard housing, but of course makers everywhere have been upgrading their kits, for example by creating a laser-cut wooden box. 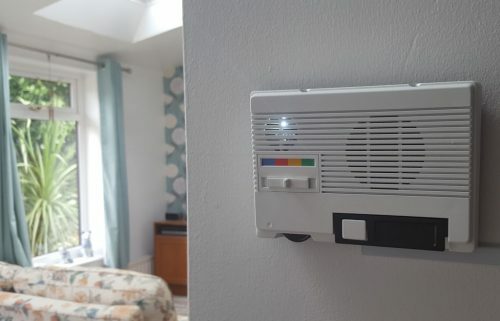 Martin, however, has taken things to the next level: he’s installed his AIY kit in a wall-mounted intercom from 1986. 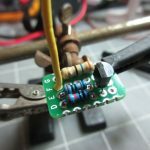 The moment I scooped the Google AIY kit, I knew that one of these old units would be a perfect match for it – after all, both were essentially based on a button, microphone, and loudspeaker, just with different technology in between. First, Martin gutted the intercom and ground away some of the excess plastic inside. This was necessary because integrating all the components was going to be a tight fit. To overhaul its look, he then gave the housing a good scrub and a new paint job. For a splash of colour, Martin affixed a strip of paper in the palette of the Google logo. The intercom’s speaker wasn’t going to provide good enough sound quality. Moreover, Martin quickly realised that the one included in the AIY kit was too big for this make. He hunted down a small speaker online, and set about wiring everything up. Martin wanted the build to resemble the original intercom as closely as possible. Consequently, he was keen to use its tilting bar to activate the device’s voice command function. 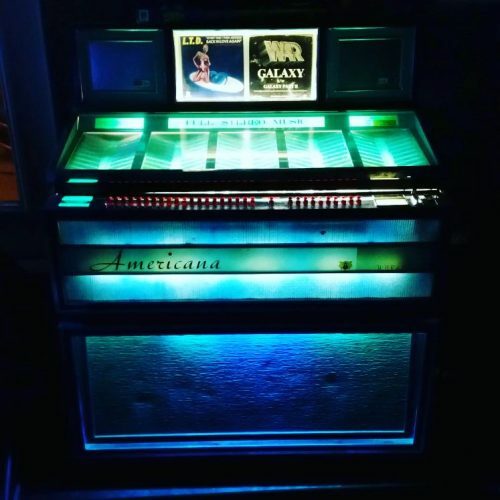 Luckily, it was easy to mount the AIY kit’s button behind the bar. Finally it was only a matter of using some hot glue and a few screws and bolts to secure all the components inside the housing. Once he’d done that, Martin just had to set up the software of the Google Assistant, and presto! He had a voice-controlled smart device for home automation. A pretty snazzy-looking build, isn’t it? 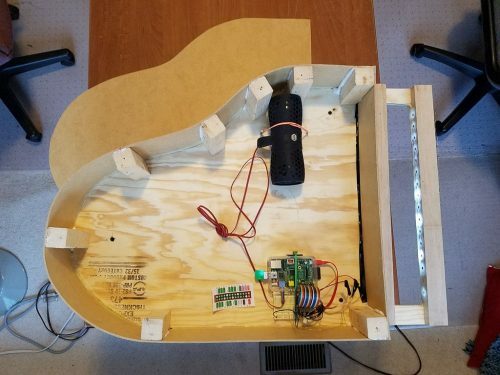 If you’d like to learn more about Martin’s Google Pi Intercom, head over to the Instructables page for a complete rundown. Didn’t manage to snap up an AIY Projects kit? Find out how to get your hands on one over at The MagPi. Or do you have an AIY kit at home? Lucky you! You can follow our shiny new learning resource to get started with using it. There are also lots of handy articles about the kit in The MagPi #57 – download the PDF version here. If you’re stuck, or looking for inspiration, check out our AIY Projects subforum. Ask your questions, and help others by answering theirs. What have you built with your AIY Projects kit? Be sure to share your voice-controlled project with us in the comments. The post Google Pi Intercom with the AIY Projects kit appeared first on Raspberry Pi. Are you tired of friends borrowing your books and never returning them? Maybe you’re sure you own 1984 but can’t seem to locate it? Do you find a strange satisfaction in using the supermarket self-checkout simply because of the barcode beep? With the ShelfChecker smart shelf from maker Annelynn described on Instructables, you can be your own librarian and never misplace your books again! Beep! Annelynn built her smart shelf utilising a barcode scanner, LDR light sensors, a Raspberry Pi, plus a few other peripherals and some Python scripts. She has created a fully integrated library checkout system with accompanying NeoPixel location notification for your favourite books. This build allows you to issue your book-borrowing friends their own IDs and catalogue their usage of your treasured library. On top of that, you’ll be able to use LED NeoPixels to highlight your favourite books, registering their removal and return via light sensor tracking. Once Annelynn had built the shelf, she drilled holes to fit the eight LDRs that would guard her favourite books, and separated them with corner brackets to prevent confusion. Due to the limitations of the MCP3008 Adafruit microchip, the smart shelf can only keep track of eight of your favourite books. But this limitation won’t stop you from cataloguing your entire home library; it simply means you get to pick your ultimate favourites that will occupy the prime real estate on your wall. Obviously, the light sensors sense light. So when you remove or insert a book, light floods or is blocked from that book’s sensor. The sensor sends this information to the Raspberry Pi. 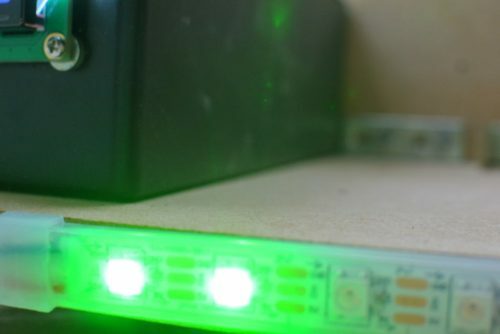 In response, an Arduino controls the NeoPixel strip along the ‘favourites’ shelf to indicate the book’s status. While keeping a close eye on your favourite books, the system also allows creation of a complete library catalogue system with the help of a MySQL database. Users of the library can log into the system with a barcode scanner, and take out or return books recorded in the database guided by an LCD screen attached to the Pi. I won’t go into an extensive how-to on creating MySQL databases here on the blog, because my glamourous assistant Janina has pulled up these MySQL tutorials to help you get started. Annelynn’s Github scripts are also packed with useful comments to keep you on track. We love books and libraries. And considering the growing number of Code Clubs and makespaces into libraries across the world, and the host of book-based Pi builds we’ve come across, the love seems to be mutual. We’ve seen the Raspberry Pi introduced into the Wordery bookseller warehouse, a Pi-powered page-by-page book scanner by Jonathon Duerig, and these brilliant text-to-speech and page turner projects that use our Pis! If you’ve set up any sort of digital making event in a library, have in some way incorporated Raspberry Pi into your own personal book collection, or even managed to recreate the events of your favourite story using digital making, make sure to let us know in the comments below. 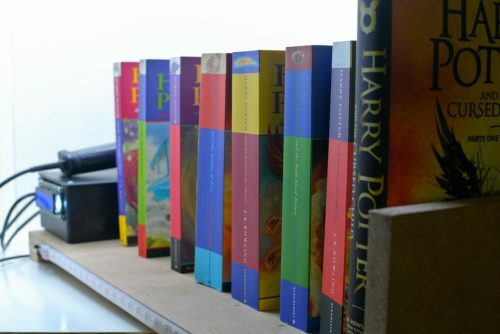 The post Shelfchecker Smart Shelf: build a home library system appeared first on Raspberry Pi. 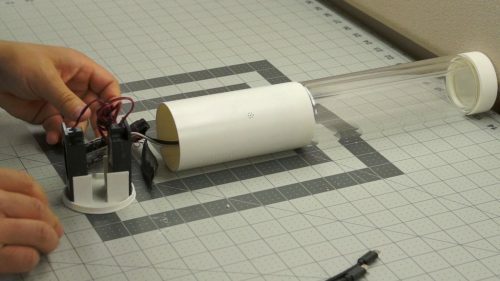 Inspired by the tempescope, The Modern Inventor’s Storm Glass is a weather-simulating lamp that can recreate the weather of any location in the world, all thanks to the help of a Raspberry Pi Zero W.
The lamp uses the Weather Underground API, which allows the Raspberry Pi to access current and predicted weather conditions across the globe. Some may argue “Why do I need a recreation of the weather if I can look out my window?”, but I think the idea of observing tomorrow’s weather today, or keeping an eye on conditions in another location, say your favourite holiday destination, is pretty sweet. The Modern Inventor, whose name I haven’t found out yet so I’ll call him TMI, designed and 3D printed the base and cap for the lamp. The glass bottle that sits between the two is one of those fancy mineral water bottles you’ve seen in the supermarket but never could justify buying before. 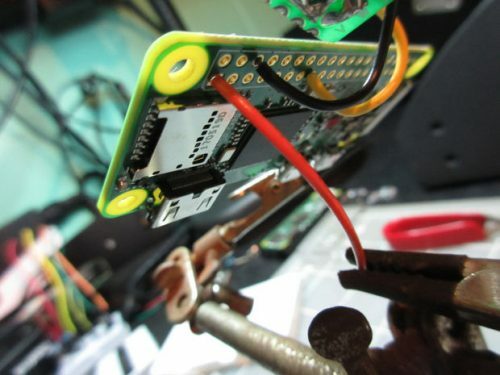 The base holds the Pi, as well as a speaker, a microphone, and various other components such as a Speaker Bonnet and NeoPixel Ring from Adafruit. With the tech in place, TMI (yes, I do appreciate the irony of using TMI as a designator for someone about whom I lack information) used hot glue like his life depended on it, bringing the whole build together into one slick-looking lamp. 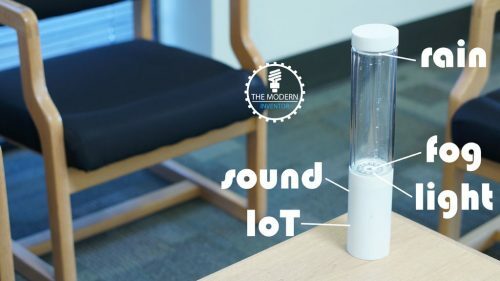 TMI set up the Storm Glass to pull data about weather conditions in a designated location via the Weather Underground API and recreate these within the lamp. He also installed Alexa Voice Service in it, giving the lamp a secondary function as a home automation device. Code for the Storm Glass, alongside a far more detailed explanation of the build process, can be found on TMI’s project page. He says the total cost of this make comes to less than $80. 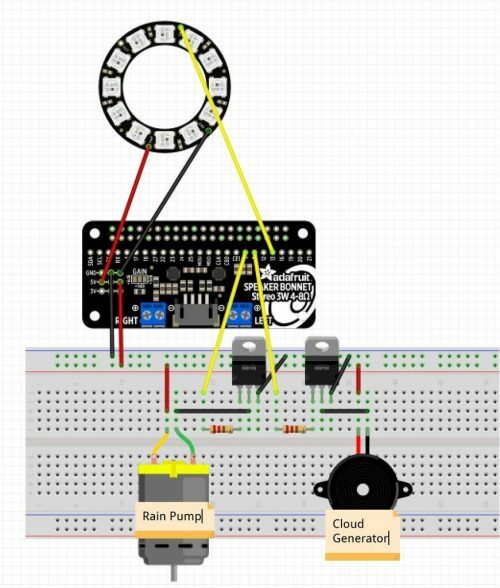 If you’d like to start using weather APIs to track conditions at home or abroad, we have a whole host of free Raspberry Pi resources for you to try your hand on: begin by learning how to fetch weather data using the RESTful API or using Scratch and the OpenWeatherMap to create visual representations of weather across the globe. You could even create a ‘Dress for the weather’ indicator so you’re never caught without a coat, an umbrella, or sunscreen again! However you use the weather in your digital making projects, we’d love to see what you’ve been up to in the comments below. 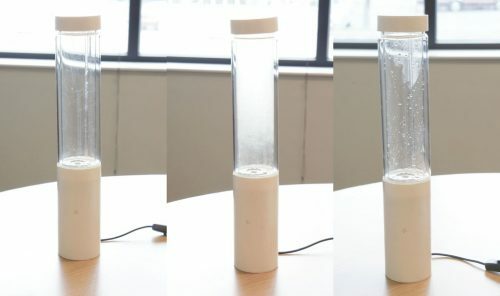 The post Storm Glass: simulate the weather at your desk appeared first on Raspberry Pi.